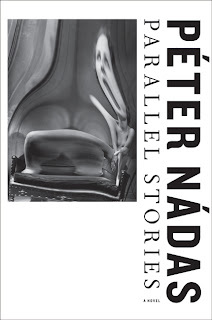 I don't know about you, but my bets are on Peter Nadas for the Nobel Prize tomorrow. There's something about the forthcoming translation of Parallel Stories that has me captivated. I'd previously read his short work A Lovely Tale of Photography (published in English by the outstanding Twisted Spoon Press), and although I've got nothing else to judge him by, the quiet hum I'm sensing over Parallel Stories gives me a hunch it might be Nadas's year. We'll see tomorrow--I'll update again with the winner in the evening! Stay tuned.